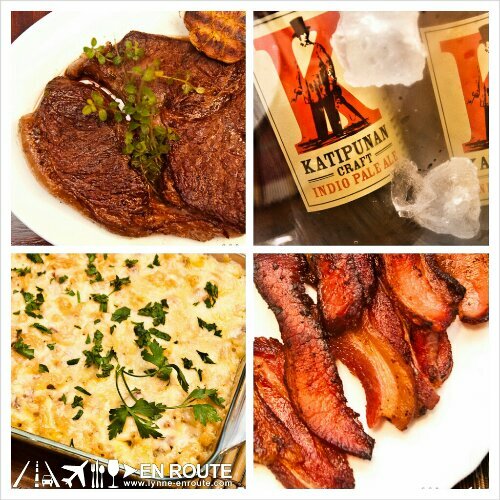 Here at En Route, it’s all about simple, homey, comfort food dishes that any man or woman is bound to love (this is also because this is the most we can cook with our current abilities. Those manchego souffles and tomato confit ala Lolo Dad’s still need to be practiced). But for this dinner set, it’s all about a manly dinner consisting of meaty, cheesy, and boozy goodness that every man should be able to cook to keep himself alive with / without the companionship of the female species. For the women, it works the same way as well. Heck, you might even lure a few with these on the dinner table. Oh yes. 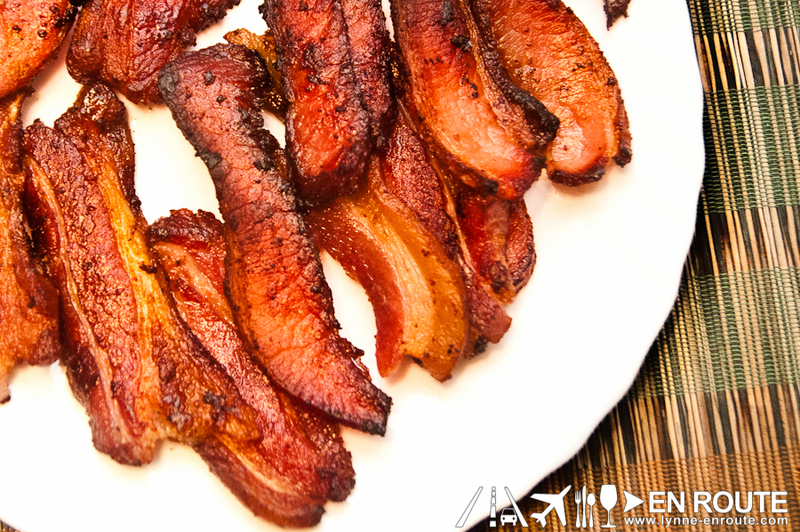 These strips have been smoked to the core, giving it a very robust flavor to complement the crispiness. Good with eggs for breakfast, or eaten just by itself. Half a kilogram strangely wasn’t enough for five people, even if they knew there was more coming from the kitchen for this dinner session. Alternative: There’s no alternative for bacon. If you have a suggestion, we will be glad to hear of it. 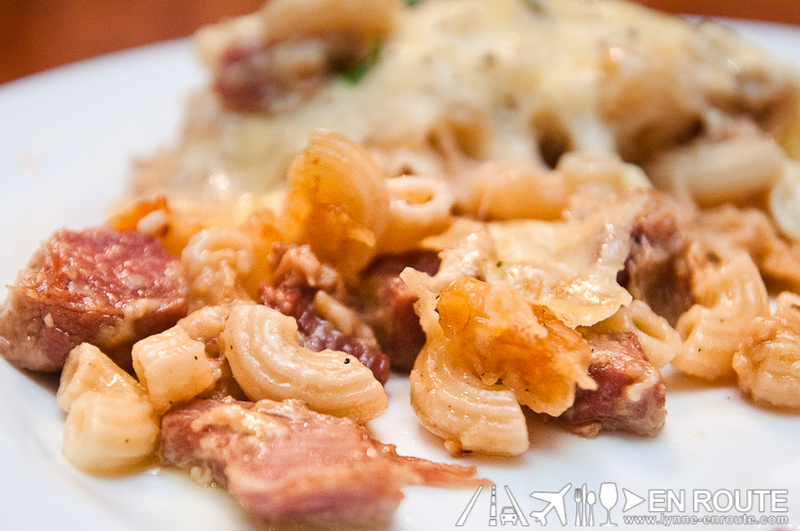 By more, it meant a compliment to the savory bacon by thick, cheesy goodness of a Three cheese Irish macaroni with corned beef chunks and beer sauce. Making beer sauce makes it manly, at least in terms of name. Adding corned beef and then beer sauce? Manly Genius. Get the recipe here. No manly dinner is complete without beer. And a Filipino manly beer normally would be San Miguel. But here is one you may want to consider. A full fledged, locally brewed artisanal craft ale. 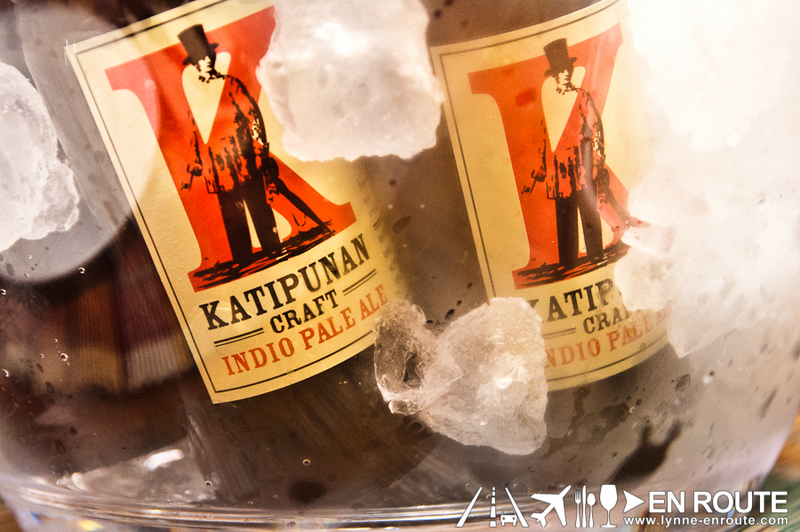 Ales are known to be bitter (manly beers normally are), but this Katipunan Indio Pale Ale one has a tolerable bitterness to suit the Filipino palate, yet push it enough to know its boundaries for taste and sophistication. Some shops already have it, but you can reliably get this along with other manly brews from the Global Beer Exchange Bottle Shop. Alternative: Feeling more dashing debonair like James Bond? Make a Vesper. 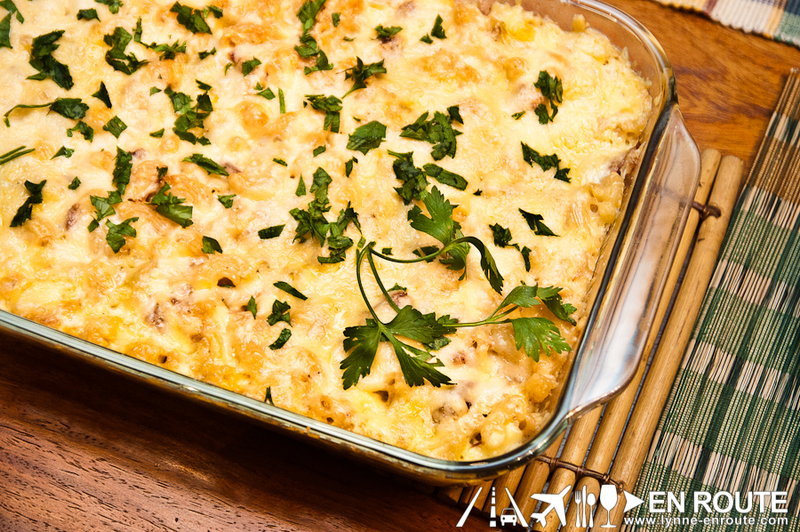 The perfect partner for the Irish macaroni. The perfect partner for beer. The perfect partner for bacon. Heck, it is the perfect partner for man… after a woman, of course. This here is a 1-inch, Grade Six, 800 gram cut of Philippine wagyu sirloin steak. God bless Kitayama Farms for bringing locally raised wagyu cattle and making it more available and accessible to the normal Filipino. Now everyone can enjoy high quality beef without the price tag. 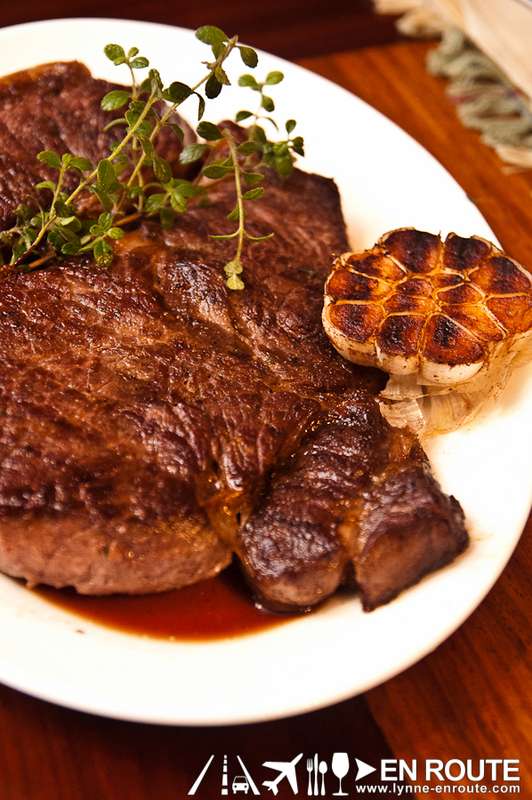 Get your steak in any cut you like, in any thickness you like (recently tried a 1-inch cut Grade 8 wagyu ribeye. Just one of the few excusable reasons when a grown man is allowed to cry). We hope we have made you proud enough that any sacrifice by such precious bovines were not in vain. 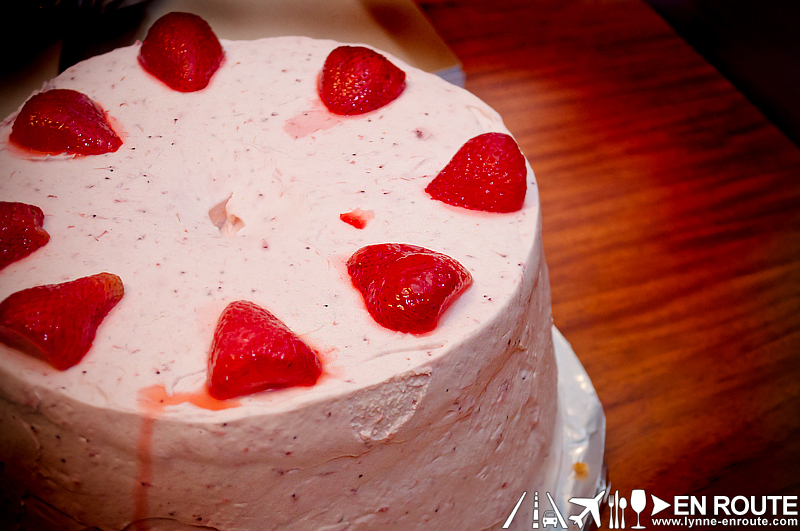 Only two cakes come into mind right now: Irene’s Queso de Bola and Chocnut Cheesecakes , or Baby Yulo’s Strawberry Shortcake. 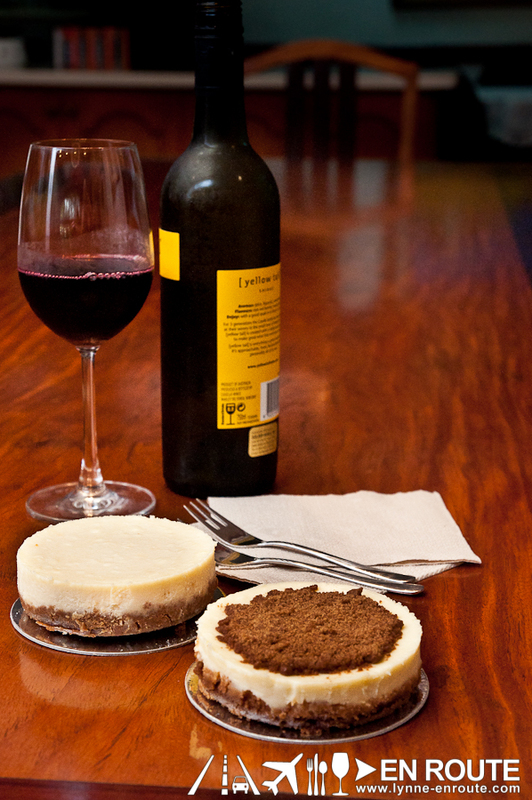 Both have two characteristics similar in their making: No compromise in ingredients. So treat yourself once in a while with a manly dinner. This message goes to all women, too. Thanks for making awesome bacon! I’ll be buying again soon!